Background information is needed for you all lol. My mum raised me to be creative, so i was given all musical lessons from voice to piano. Then my dad who can draw really well used to teach me to draw from when i was really little. 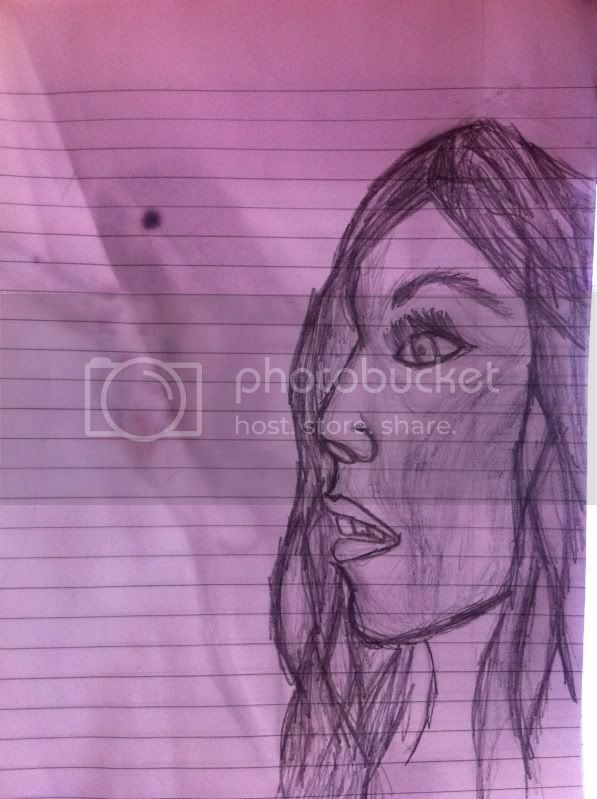 And since i was little i have been drawing I did Art at GCSE and walked away with a A* so i must not be that bad lol. Drawing is what i do when im in a really bad mood and i need to calm down or i am just feeling a little down so i dispear up to my room and draw for hours. Drawing is my yoga lol. 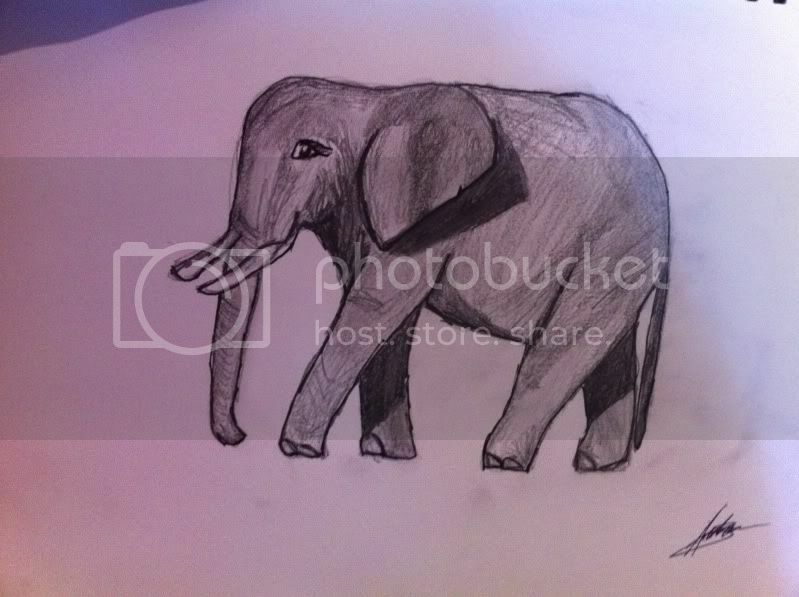 My most recent sketch, of a elephant inspired by the book "Water by Elephants" which i am currently reading. 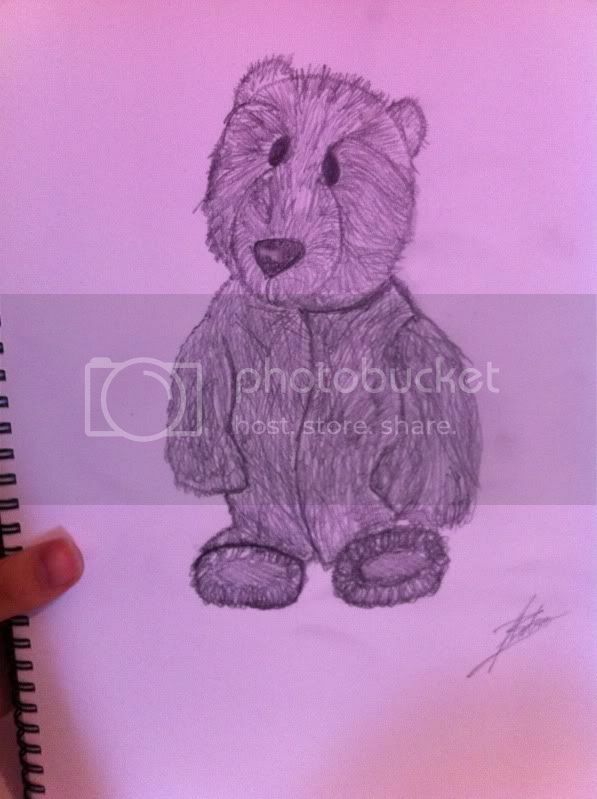 A teddy bear, my bf thought it looked like a beaver lol but it is a bear lol. 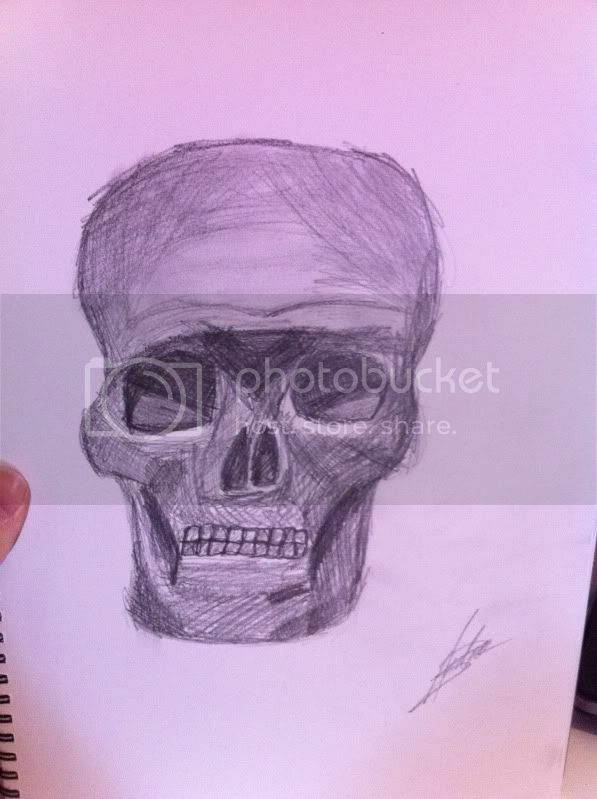 the skull was done before and its not perfect to me so its not finished as far as i am concerned lol. can you do a mermaid? That's really cool Andrea. I especially <3 the elephant! I find drawing animals almost impossible but you did an awesome job! And the hand too, very difficult motif but you pulled it off! Please post more, I'm really curious to see what else you've done. awww i totally love the elephant, so good. You know what I will do a mermaid now I will give it a go. Never drawn one, but i used to be able to draw Fairies well so, same thing lol. both mythical. Yeah animals are so difficult, but once you have the knack for drawing on then its full steam ahead. I always find the feet and legs of a animal very difficult. I am usually erasing them over and over till ive got it right. 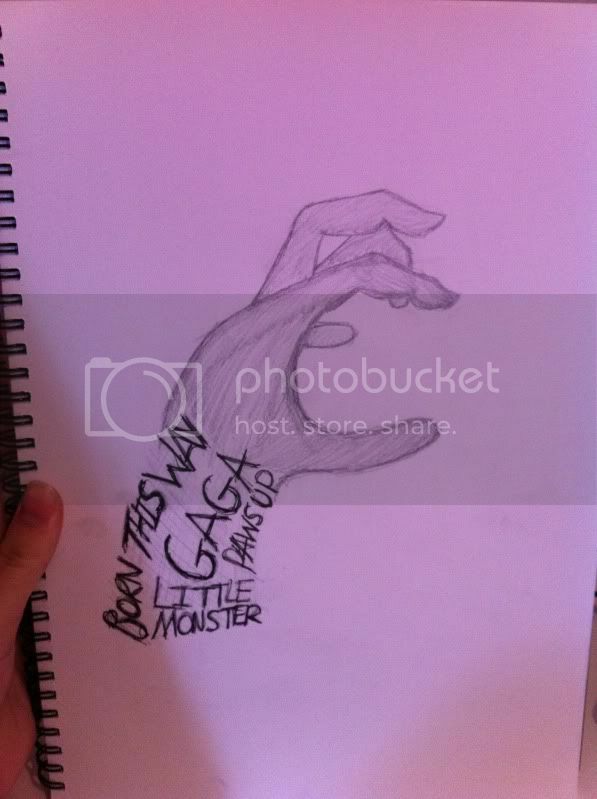 And thanks about the hand its not a great hand because its not realistic, i am hoping to actually draw a realistic hand soon so watch this space. Thanks, i will definitly post more. haha I KNEW IT, ill tell my bf he was wrong then. I love your drawings. They are beautiful. yeah suppose so, just wish i could draw realistic hands now that would be awesome. 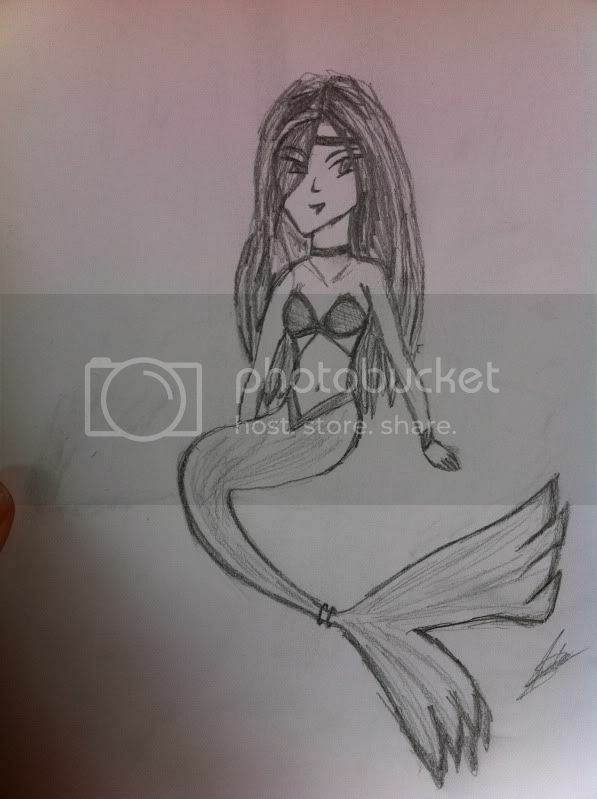 I have done the mermaid, took me a long time to do as i tried to do a realistic version but ended up as a cartoon version. Sorry for double post, but i found some old drawings. 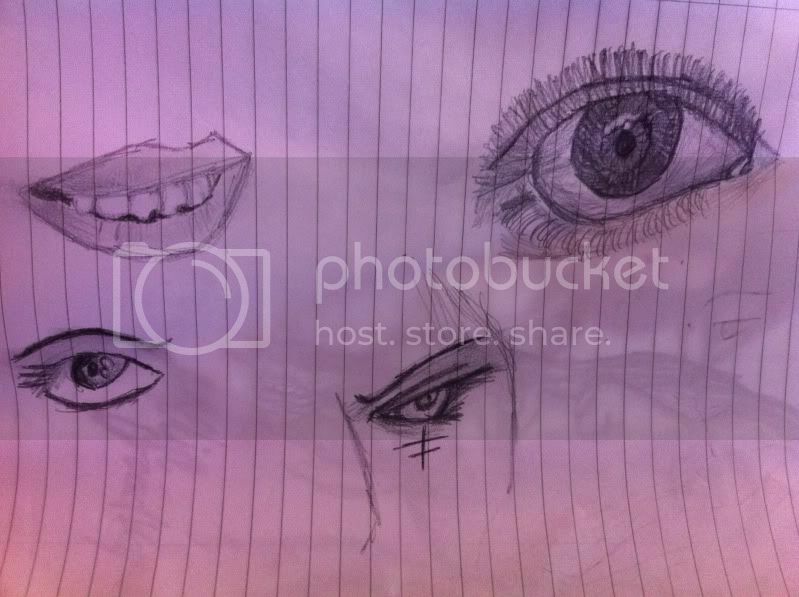 Sketches of eyes and a mouth. inspiring me to draw some stuff ! !